Parish Council meetings take place in the Village Hall on the fourth Tuesday of every month, except for December and August when there are no meetings. Members of the public are very welcome to attend. 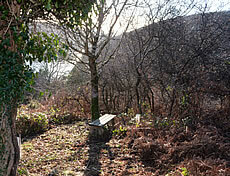 The Parish Council has recently arranged some tree and brush cutting work on the Saints Way path from Golant to Fowey. The view from both benches is now vastly improved. 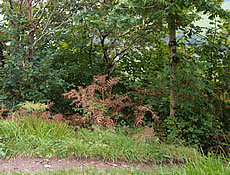 One bench was lost in the undergrowth but now there is a nice path down to it cut out of the brambles and bracken. The photographs below show the "before" and "after" views.